When the weathers rather dreary outside (we love Yorkshire – but ROLL ON SUMMER) it’s hard to motivate ourselves to get out of our comfort zones, put on some work out gear and head outside to train. Whilst afterwards, we skip home with happy endorphin’s buzzing around our bodies, it’s the getting out there when it’s cold that’s hard. But, since we know it’s worth it and we will be happier afterwards, we’ve been researching some fun ways to get fit at this time of year – including some events. With the goal of being active enough in time for Tour de Yorkshire so we can cycle the route (or part of it at least!) and even exciting Summer sporting events such as Tough Mudder and Yorkshire Warrior that we will potentially sign up for, there’s no time to start like the present! Whilst getting up early on a weekend is usually a no-go and we’d prefer breakfast in bed thank you, there’s no doubt that if we’re signed up for something that can encourage our competitive spirits, we’ll take it. Parkrun organise free, weekly 5km timed runs around the world. There’s so many events in various parks so have a look at their website to see where your closest run is. The great thing about the Parkrun is that you’re having a weekly challenge against yourself – so whether you’re just starting out and haven’t run since the school playground or you’re an avid runner, you’re only competing against your time the previous weeks. Improving by seconds or minutes week on week is really motivating, and being outside gives you some fresh air instead of stale gym air – run with a friend to make it even more enjoyable! Not for those that enjoy having two feet firmly on the ground, but flying high over Dalby Forest in North Yorkshire is definitely a thrill. Swinging through the tree tops, it’s no surprise this activity has made it into our sports category – it’s perhaps not what you’d think of as traditional training, but pulling yourself up ropes and trying to launch yourself onto the next plank does take it out of you! Based in a beautiful forest on the southern slopes of the North York Moors National Park, it’s an incredible setting – so wind down with a family picnic afterwards and laugh about all you achieved – remember your Vale of Mowbray pork pies! We love sending our pork pies to those that ride the Struggle – it’s not an easy route so they definitely deserve a treat! 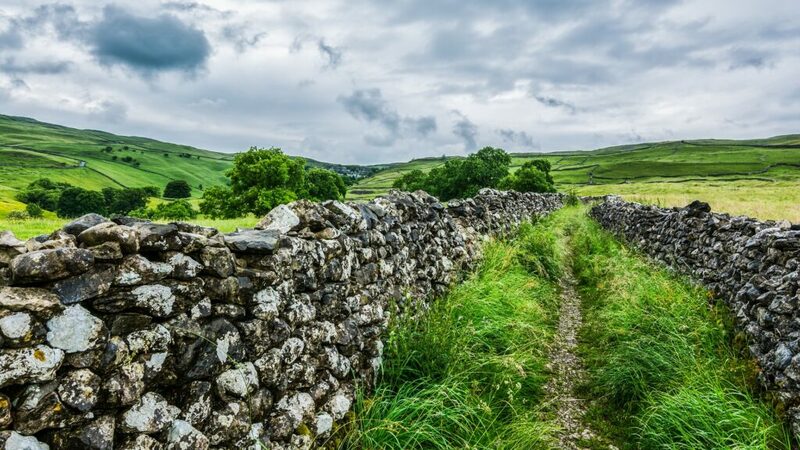 With two future events – Struggle Moors (110 miles) and Struggle Dales (108 miles) the beautiful scenery will make sure the tough route is all worth it! The events do need prior training to make sure you complete the route – and enjoy it! But, with Cycling Weekly calling it, “One of the best events in the UK,” are you ready to sign up? Whether you’re a novice or an experienced walker/ climber, the YMC might be a great club to get you out and about – and out of your comfort zone! The club meets most weekends for climbing or walking and midweek at local climbing walls etc. Looking at their schedule, as well as events all around Yorkshire, they also have talks by inspirational people within the sport. As a county, we’re pretty sports mad – so there’s so many events and sports we can’t cover them all in one post! But, hopefully we’ve encouraged you to think outside the box when it comes to sports and fitness – whether that’s pulling on your running shoes or snow boots! Remember, being active is hungry work, so don’t forget to pop a pork pie (or two) into your backpack!